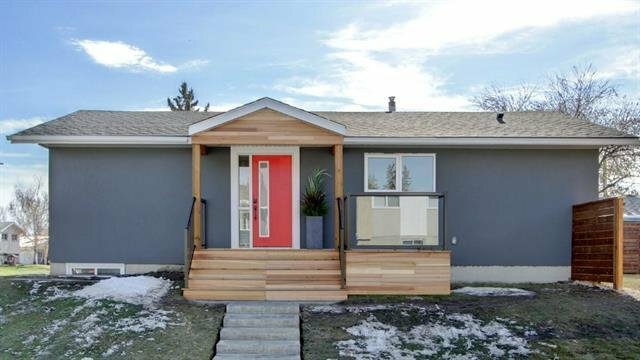 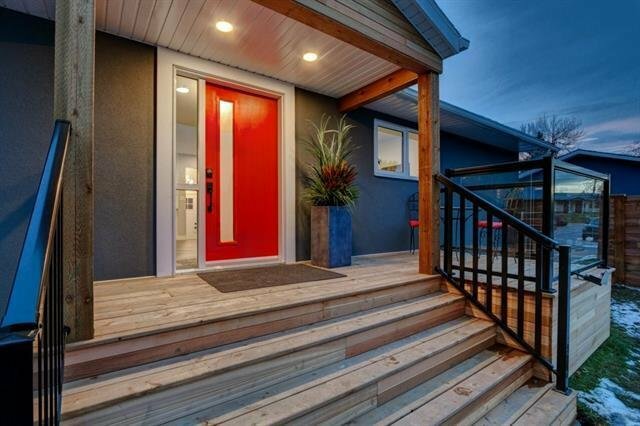 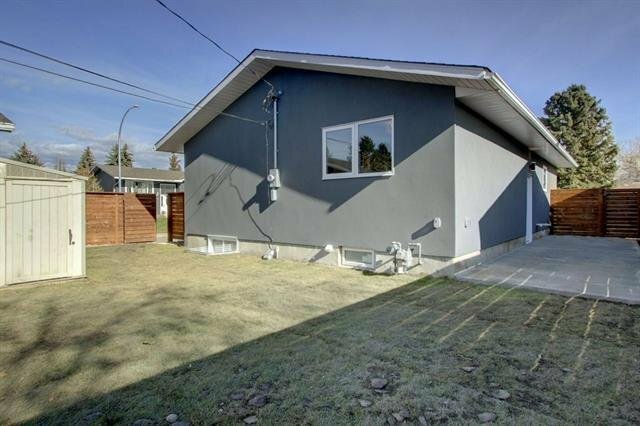 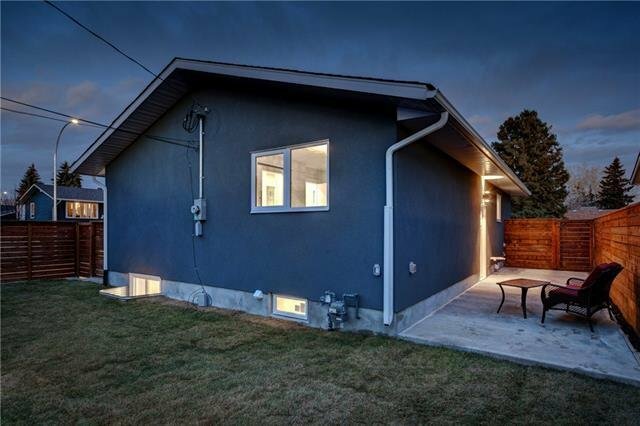 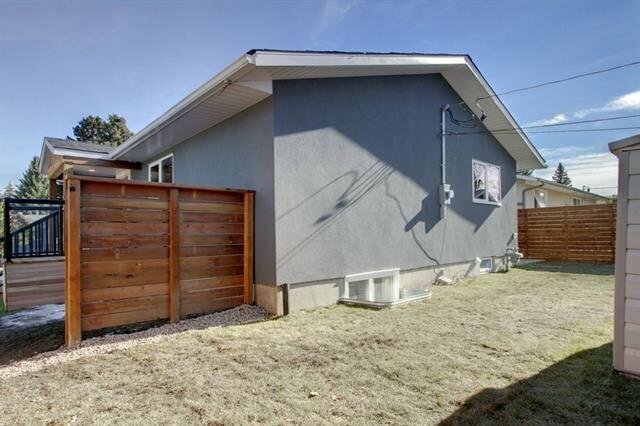 OPEN HOUSE MONDAY, APR 22, 1-4 PM LOOKING FOR THE PERFECT BUNGALOW? 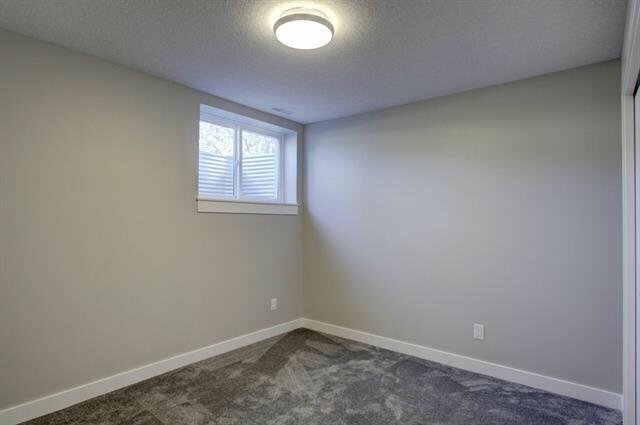 STOP LOOKING–YOU’VE FOUND IT! 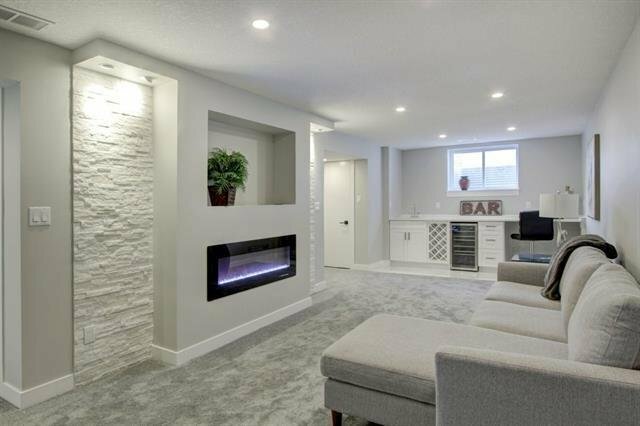 THE EXTENT & QUALITY OF THIS RENOVATION IS SUPERB! 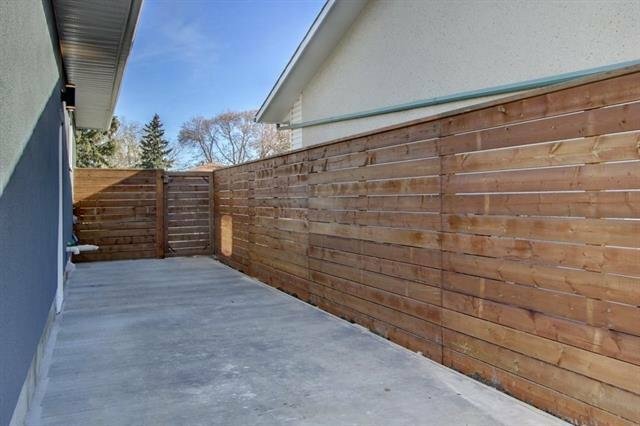 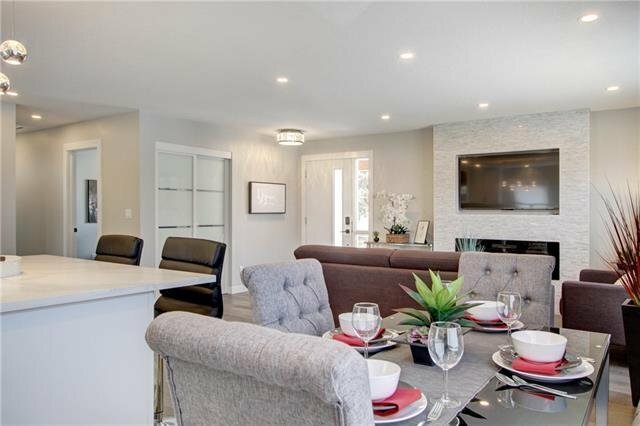 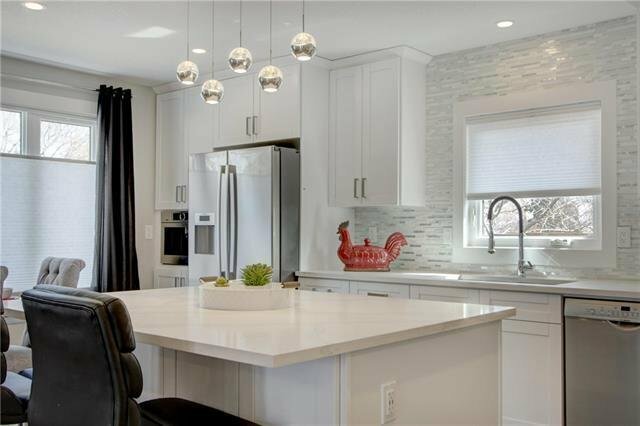 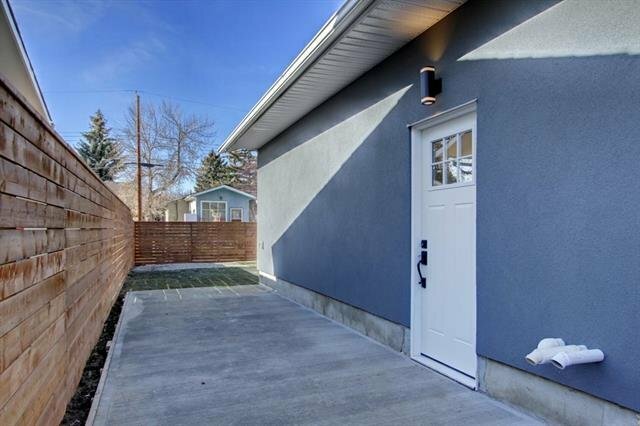 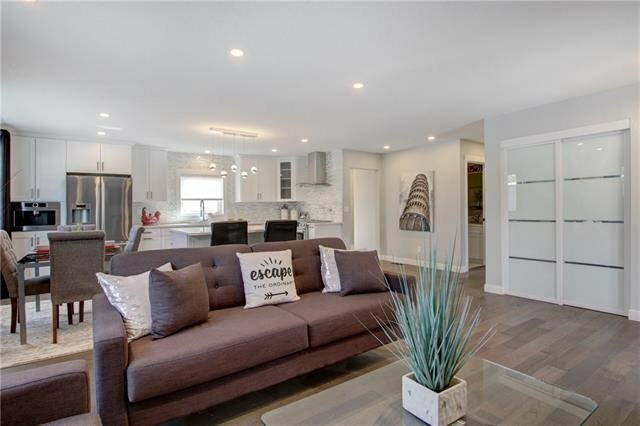 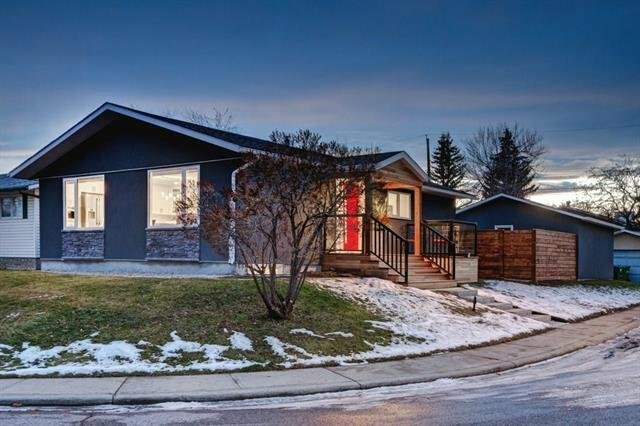 BEAUTIFUL FULLY FINISHED BUNGALOW, large, private lot in quiet cul-de-sac with 4 beds (2 up, 2 down), 3 baths in a modern, open-concept home.EVERYTHING NEW-too many features to list but here are the main ones. 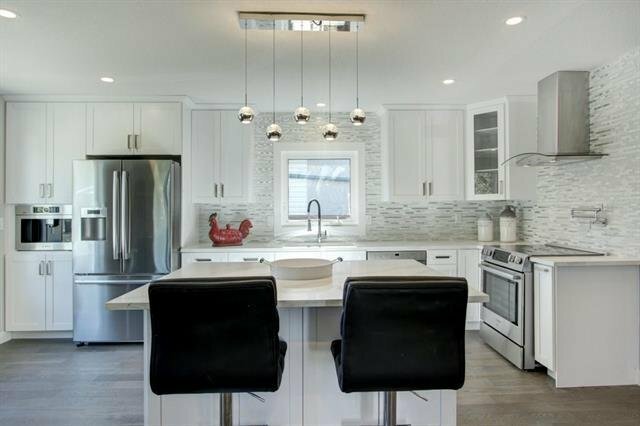 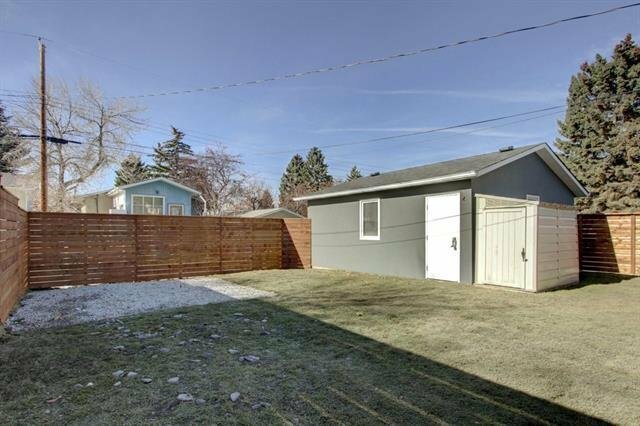 NEW: roof, windows, stucco, fence, basement development,all interior work, kitchen, bathrooms, front porch, concrete front steps & huge rear patio.Enter via with a large covered cedar-clad porch to an inviting foyer & LR w/built-in electric FP/TV feature, White shaker-style kitchen w/quartz counters & large quartz topped island.Bosch appliances, island microwave, slide-in stove w/POT FILLER, BUILT-IN COFFEE/CAPPUCCINO MAKER w/Wi-Fi. 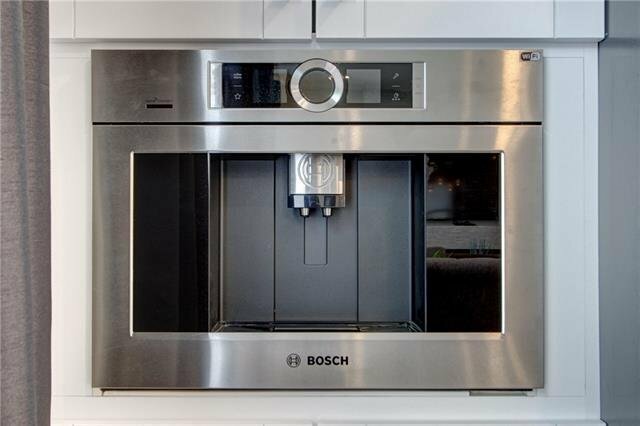 Get coffee started before you leave bed in the morning. 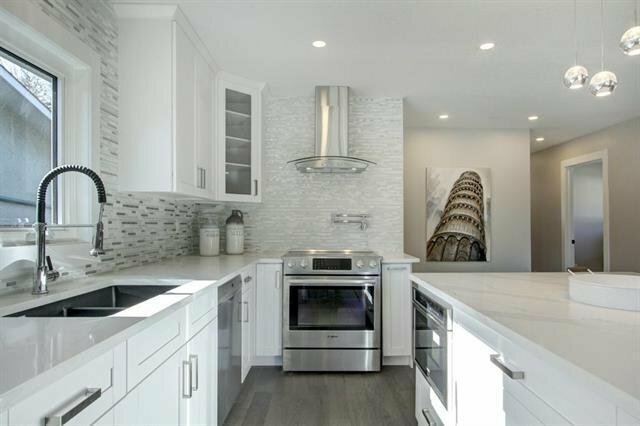 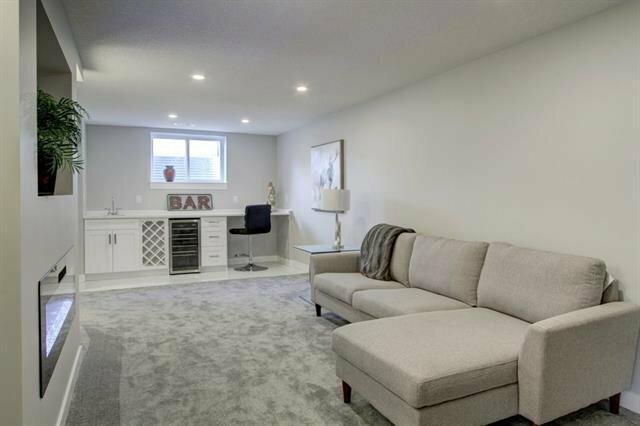 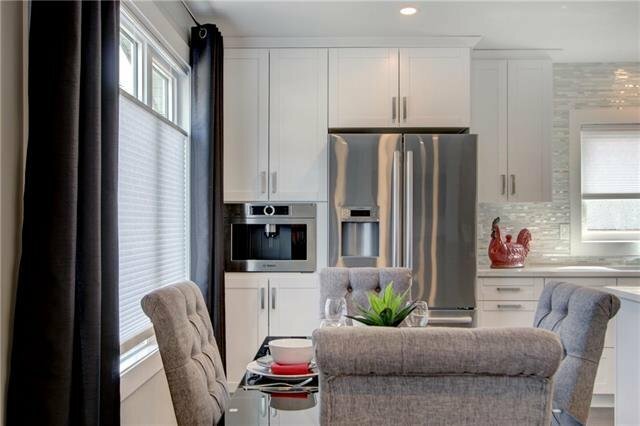 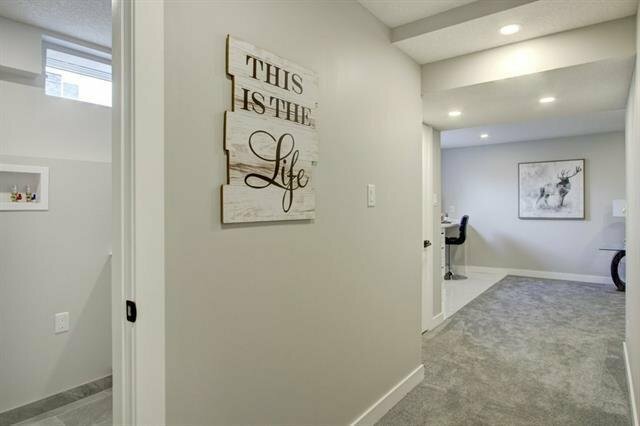 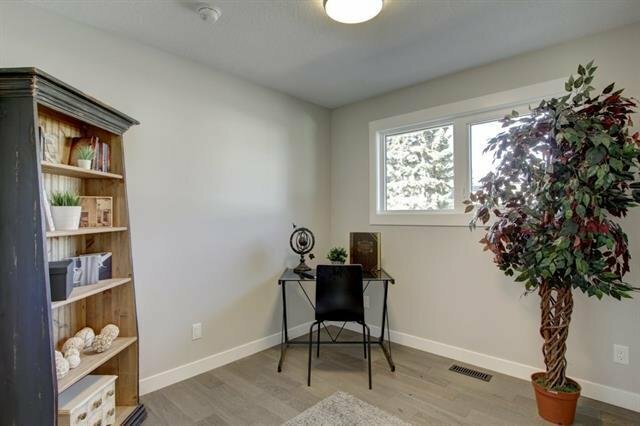 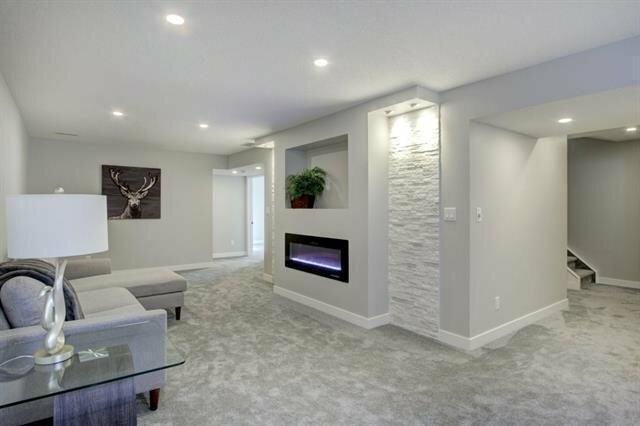 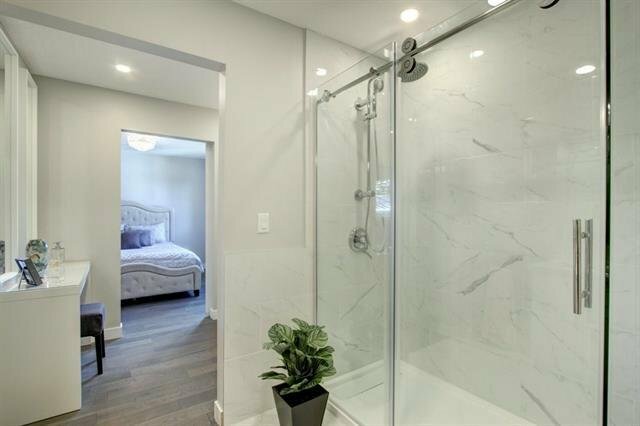 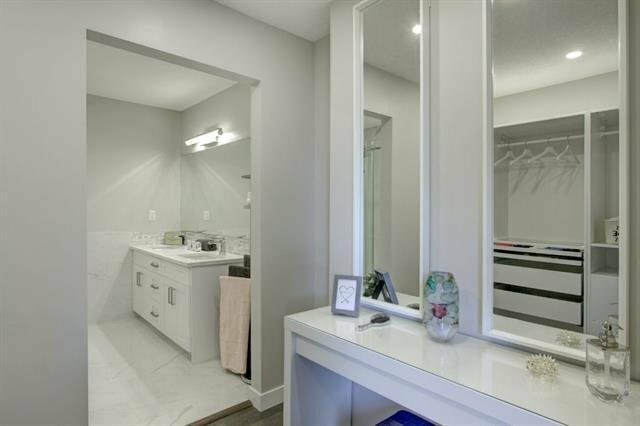 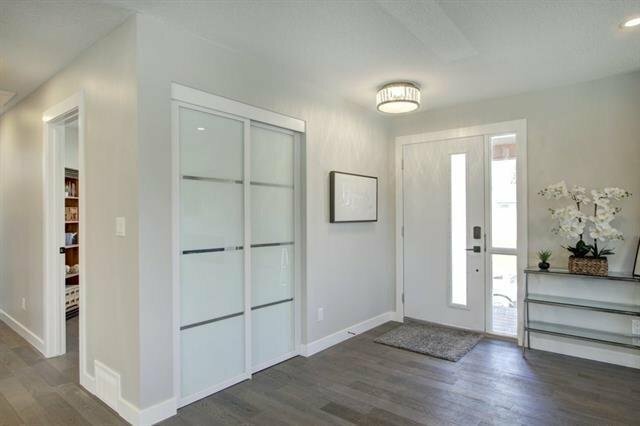 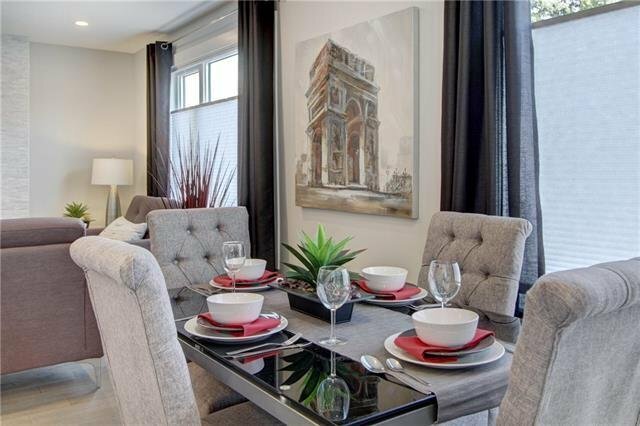 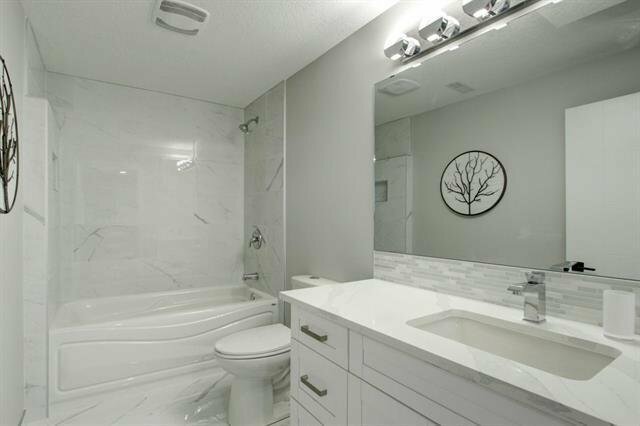 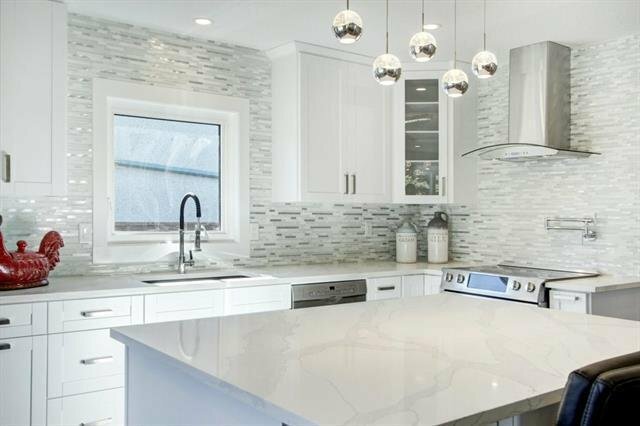 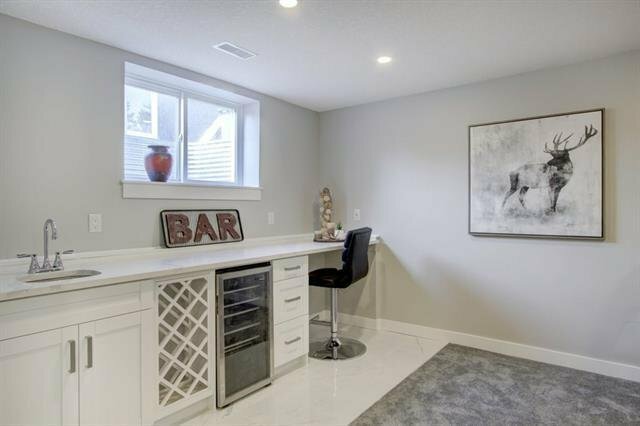 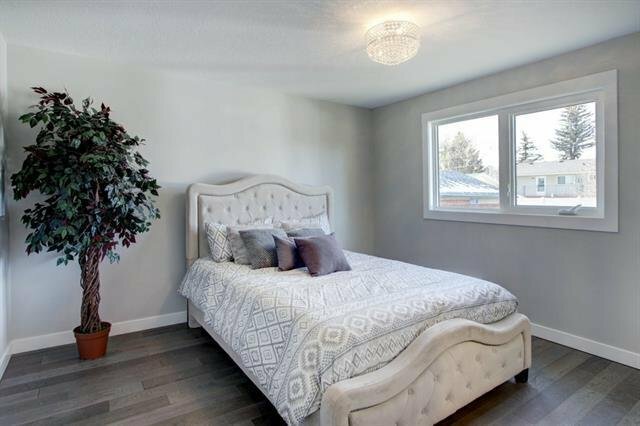 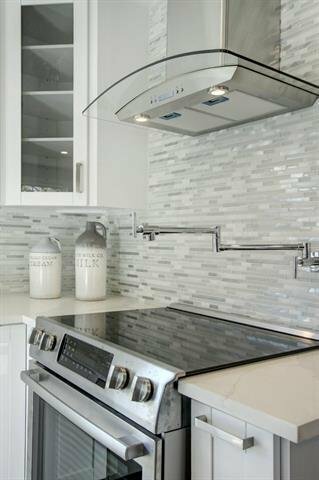 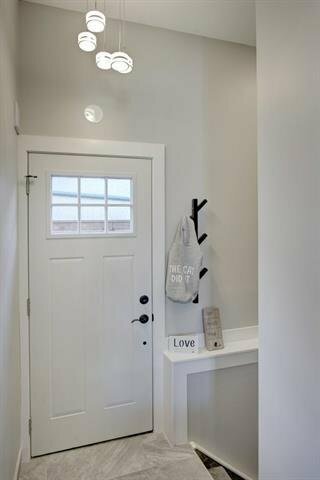 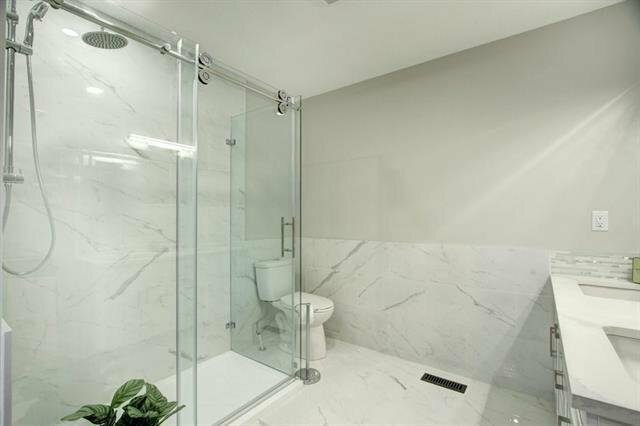 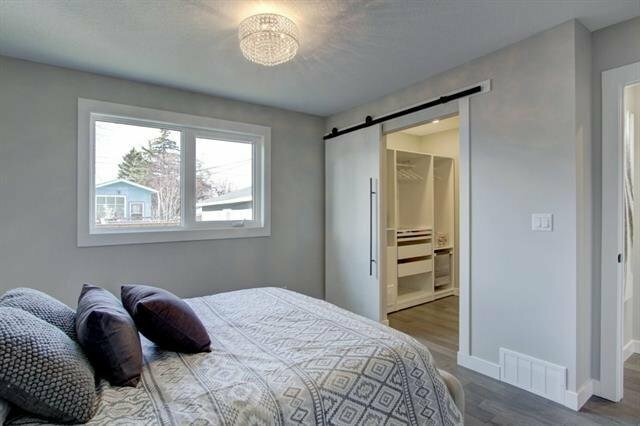 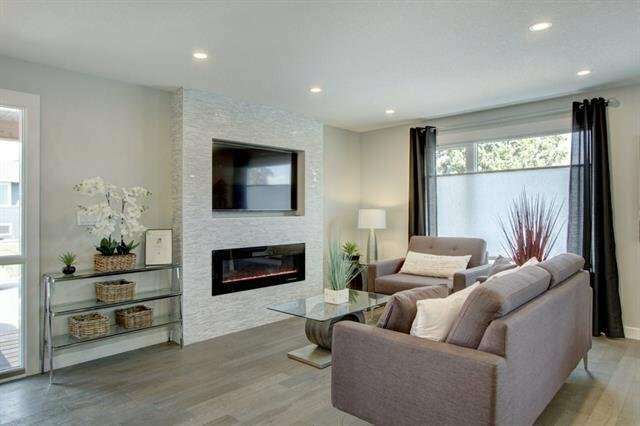 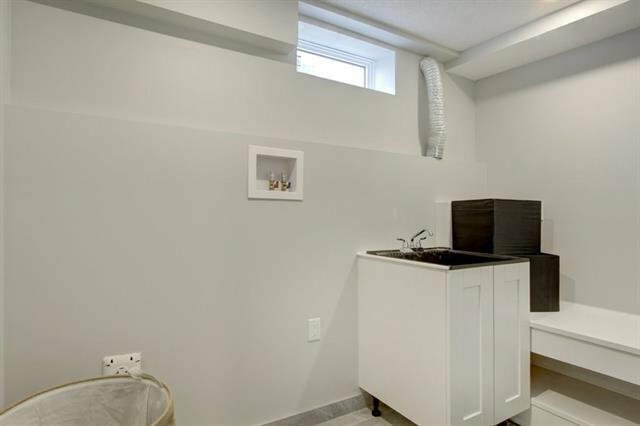 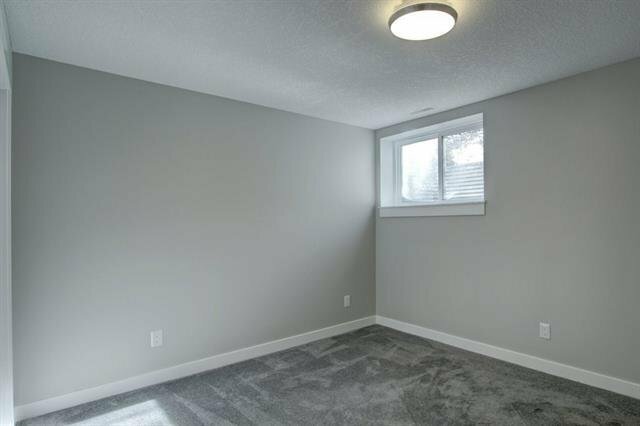 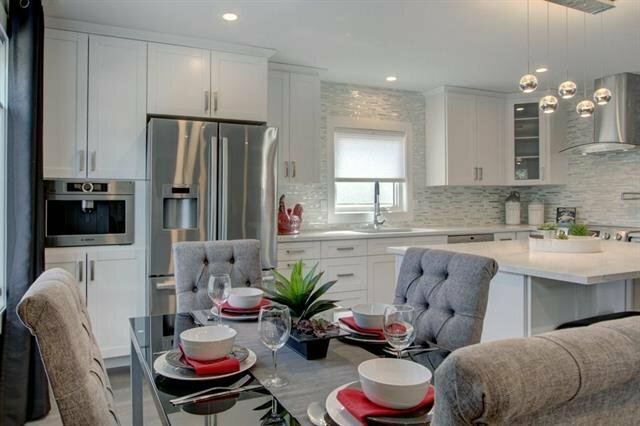 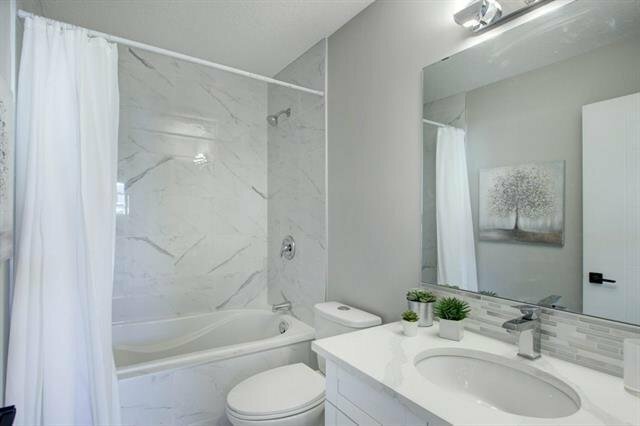 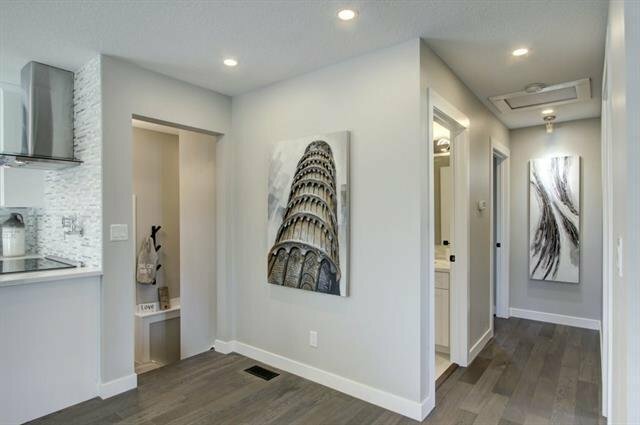 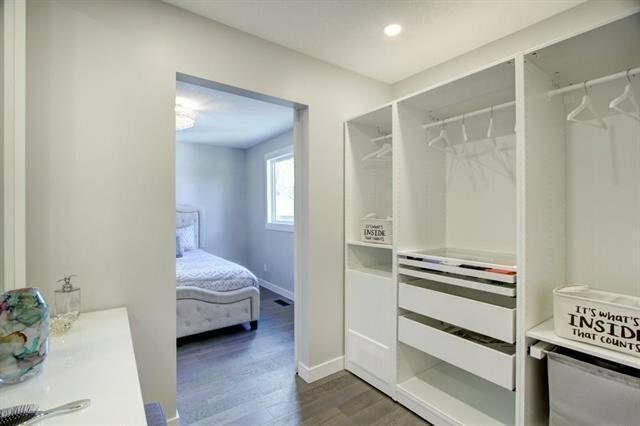 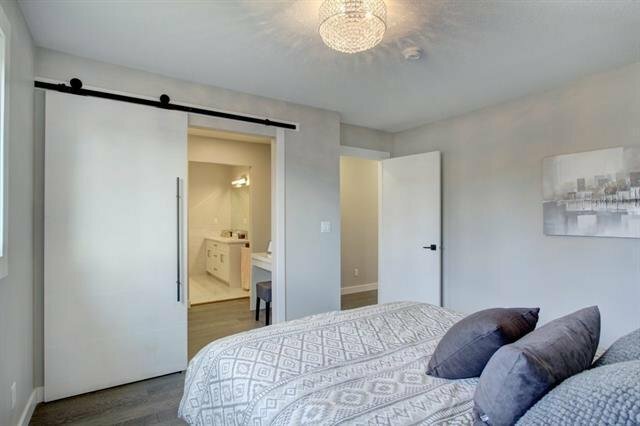 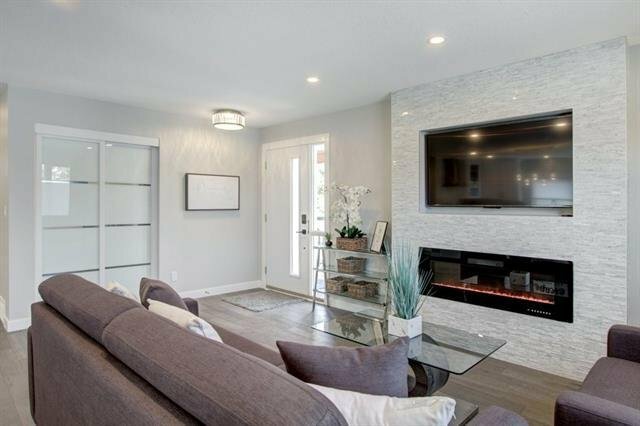 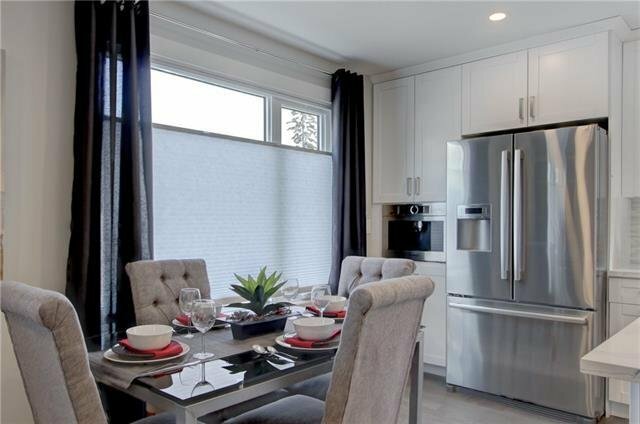 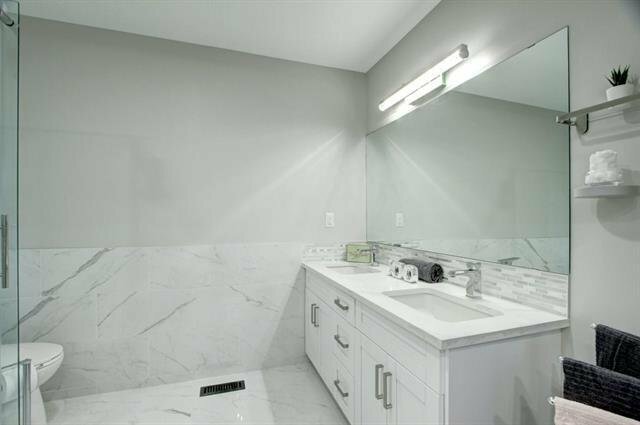 Generous MBR w/barn door to walk-through closet & large ensuite w/double sinks, large shower & IN FLOOR HEATING, all bathrooms tiled w/crisp white marbled ceramic.